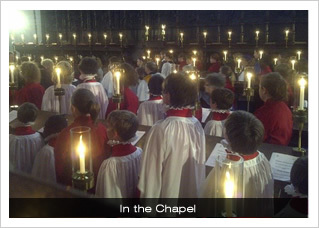 Scarcely a week into full-term and already the Choirs are off to a flying start! 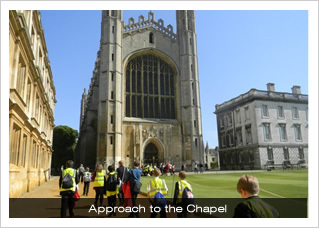 Saturday 15 September so a welcome invitation to return once again to the Biennial Ely Festival of Church Music, held in the spectacular acoustic and world-famous architecture of the Chapel of King’s College, Cambridge. 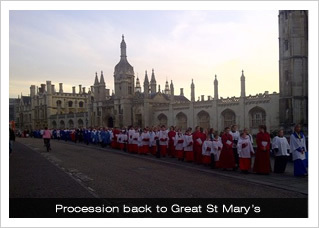 Unfortunately we were constrained by coach space so only able to take the most senior 16 Boy Choristers and senior 16 Girl Choristers, with a smattering of our finest Choral Scholars and Lay Clerks. Despite our need to limit numbers, we still represented by far the largest contingent of young singers – and proved it in volume! Despite terrible weather all week, the sun shined on us that weekend, and having set off early from Northampton, we were exceptionally grateful that King’s alumnus and current Lay Clerk, David Simms, had managed to persuade the College to open the Fellows’ Garden to us, enabling us to picnic in fine style! 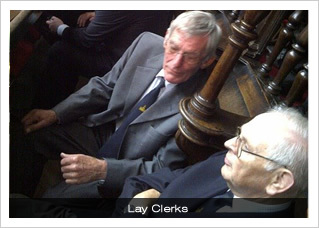 choirs, and indeed to catch up with recently retired Lay Clerk David Hyde, seen in this photo sporting his All Saints tie! voices echoing around that world-class acoustic. A fantastic start to a truly exciting year ahead.